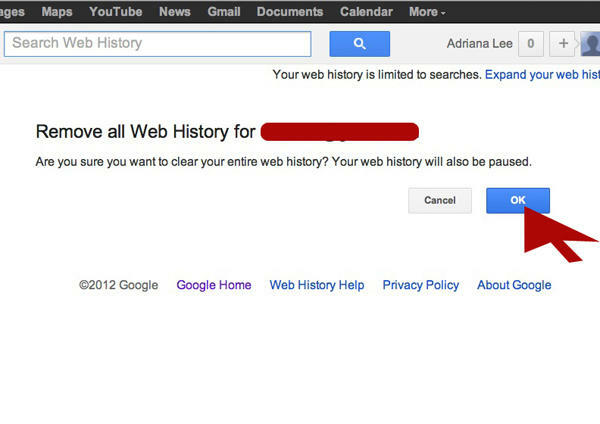 Here’s the gist: If your “Web History” setting is on, then every time you conducted a search while you were logged into Google, those search histories — possibly even your specific visited sites — were tracked and stored. Theoretically, this could yield specific details, such as age, gender, sexual orientation, location, marital status and other personal tidbits. In the past, this data has been kept in a separate area, but the part that makes people queasy is that it will be all mushed together now with all those other services. If you’re not bothered by this, then there’s nothing you need to do — just sit back and wait for the new policy to kick in. But if you’re concerned by it, you may want to wipe out your web history before the calendar month flips. 1. Visit Google.com/History. If it asks you for your password, plug it in, and you’ll see a very interesting section pop up. Even if you’re not planning to delete your web history, you should go in there and look around, for a glimpse at what the company has been stashing. 2. 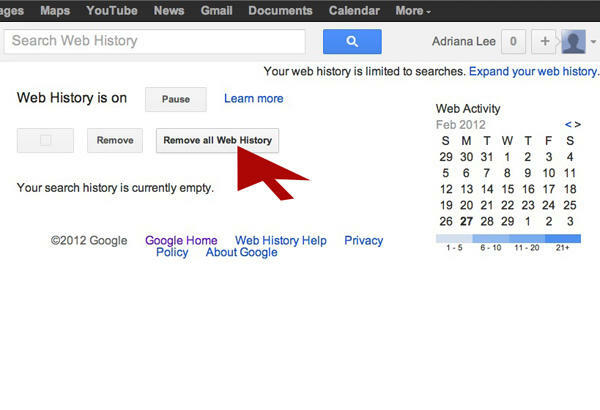 Look for a button called either “Remove Web History” or “Remove all Web History,” and tap it. 3. Click “OK” when the confirmation dialogue comes up. 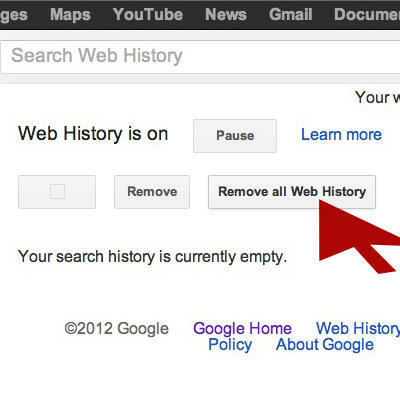 When you do this, the web history setting defaults to “Pause.” Leave it there, if you want to prevent your data from being stored all over again. 3. 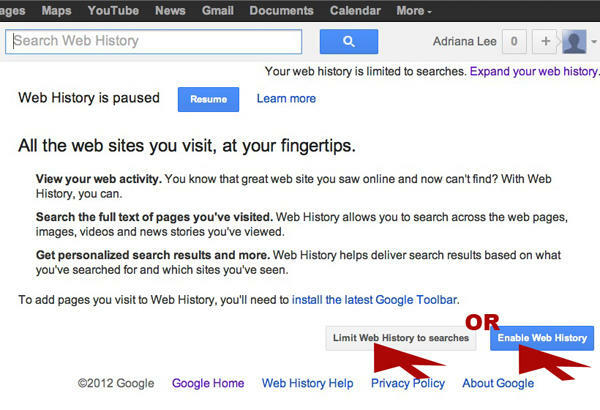 OPTIONAL: If you’re okay with Google saving your search history, but not your actual visited sites, then also do the following: Tap the link in the upper right corner, “Expand your web history.” There are two buttons that appear: “Limit Web History to searches” and “Enable Web History.” Choose the option you’re comfortable with. 4. Repeat for every Google/Gmail/Google Docs account you have. Are you concerned about Google’s new policy and what it could mean for the privacy of your data?